In this cyber age, every business needs a strong source of security that takes care of their business environment and assures their customers and visitors that they are safe on their website. In this regard, SSL (secure socket layer) can be of useful as a medium of online security. Let us go through some information about SSL and types of SSL certificates. SSL is a security protocol that provides a secure medium, to deliver the data between the server and the browser. If your website does not have an SSL Certificate, visitors may abandon shopping cart, sign up process. However, you can avoid all that with an SSL Certificate and increase ROI of your business. To establish secure communications with your E-Commerce business, customer’s browser seeks to validate your website’s authenticity by requesting SSL Certificate. SSL certificate verifies the identity of the website owner. Once SSL Certificate is recognized, a secure Connection will be established for website security. Encrypted data will be transmitted between the web server and the customer browser once the secure connection is set. However, website owners more often fail to understand a gap between various types of SSL Certificates. As many types of SSL Certificates available in market, it is important to understand your requirement first then choose appropriate SSL. So, let us understand profoundly, which SSL certificate you should choose for your website. Different types of SSL certificates are there designed as per business needs. Domain validation (DV) refers to the basic verification by a certificate authority in which the owner name and domain ownership will be checked. Domain validation certificate offers quick issuance and there is no need to follow any legal paperwork. The automation process requires no detailed verification. Hence, the price of such SSL certificate is lower than any other certificates. The certificate comes with SHA-2 algorithm as per current security standards prescribed by the CA/Browser forum. There are Positive SSL, RapidSSL certificate, QuickSSL Premium, SSL123 certificates, and many more; which are authenticate and cost effective. Organization Validation (OV) is a step ahead of domain validation certificate as such type of SSL certificates not only confirms domain ownership but also proves business identity over the web. Visitors get assurance about website existence when they observe that they are not dealing with any forged website. Moreover, all web transactions will have robust 256-bit encryption along with 2048-bit root encryption. If we talk about few legitimate organization validation certificates then GeoTrust BusinessID and Thawte SSL Web Server fall into this category. Extended Validation (EV) bears the supreme level in terms of authenticity, integrity, and security. EV checks physical, legal, and operational existence of a business and offers the highest level of validation. Mostly financial, banking, ecommerce and government organizations prefer EV SSL certificate as such websites have bunch of online transactions on their websites on daily base. Even customers who enter their login details will also be secured with EV SSL certificate. Moreover, the website address bar will turn into green bar. The green address bar in Extended Validation SSL ensures that the website is original and legitimate as a result, visitors can easily identify it is not a phishing website. If we talk about EV SSL then, GeoTrust EV SSL and VeriSign EV SSL are worthy option to secure the website. Which SSL is fit for you? After going through the above types of SSL certificates, a thought may come into your mind that which SSL is suitable for your business. Your business needs will decide the choice of SSL certificate. 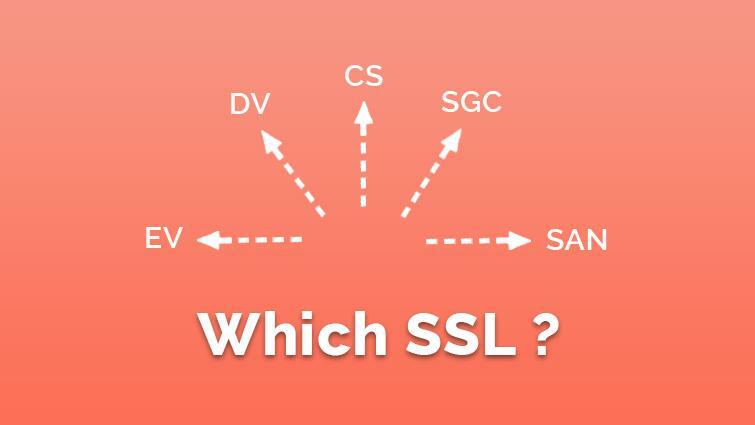 In the below points with examples will clear question regarding right choice of SSL. Easy Certificate Management: Apart from SSL certificate, the main part is simple and effective certificate management. Most legitimate certificate authorities like Symantec, Thawte, RapidSSL, and GeoTrust handle different certificate tasks ranging from certificate enrollment, issuance, reissuance, revocation, validation, etc. if an organization manually handles all its certificates, it would require hours of hard work and permanent employees to manage all certificate activities. Affordable Price: If organization put emphasis on budget, then there are many SSL certificates starting from domain validation to wildcard SSL that may help the business with right security even at lowest price. Compare to certificate authority prices, SSL resellers offer very cheap price on SSL certificates with the best customer support as a business gets generally from direct certificate authority. CheapSSLShop is one of the best reseller of different SSL certificates that offers huge discount on different SSL certificates. Vulnerability Assessment: Vulnerability assessment comes with SSL certificate that identifies, and alerts about website vulnerability. For example, Symantec offers vulnerability assessment with its SSL certificates. Organization can schedule weekly scan on web pages, applications, server software, and network ports. Malware scanning alerts the business when the site is infected with any critical vulnerability. Highly Trusted Seal: Every SSL certificate bestows site seal that assures visitors and customers about website authenticity. If we talk about most trusted seal then Norton Secured Seal would come at first place. The Norton Secured seal is seen half a billion times per day on websites across 170 countries. There are 77% of consumers are familiar with this seal. When a customer clicks on the Norton Secured Seal, he/she will see the information about the organization, the status of your malware scan, and SSL Certificate details. Apart from Norton seal, there are other trusted seals like Thawte trusted seal, Comodo site seal, GlobalSign secure site seal, etc. SSL Certificates by usage: SSL certificates can be varied by its usage just like: single domain SSL (to secure your single domain / blog), Wildcard SSL (to secure your sub-domains), UCC or SAN SSL (Secure Multiple Domains), EV SSL (Green Bar Security), SGC certificate (Protection on Old Browsers). Additionally, if you want to secure software code, you can go with Code signing certificate. 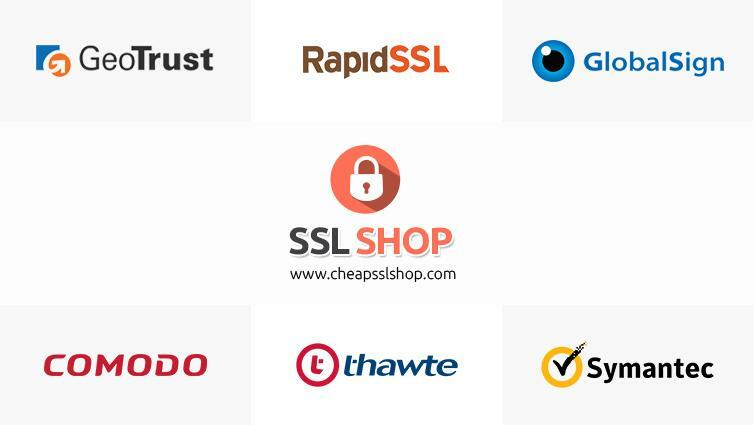 CheapSSLShop is a global provider of legitimate SSL certificates of RapidSSL, GeoTrust, GlobalSign, Thawte, Symantec, and Comodo.You will get the same quality SSL certificates as you directly buy from these certificate authorities. CheapSSLShop offers huge discount on different types of SSL certificates that can please your pocket as well offers best customer support for any potential SSL related query. SSL certificate is an ideal protocol that has proved its authenticity in this current cyber world. Now, if you are ready to secure your website with SSL certificate, then there are so many lowest price deals on SSL certificates, which can save your money and time. If your mind is still puzzling with the choice of appropriate SSL certificate, feel free to contact our support team.